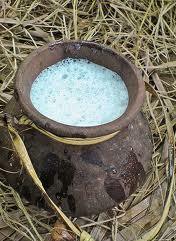 Toddy is a delicious drink which is obtained from coconut tree and palm tree. It is commonly known in Malayalam language as "kallu". 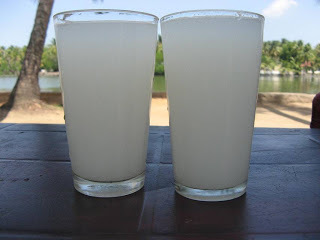 Toddy is a natural drink which has a sweet taste with air bubbles. It will make the same result as that of alcohol. No external substances are included in the toddy. It is extracted from the tree by a trained professional known as Toddy tapper, traditionally "Chettukaran". 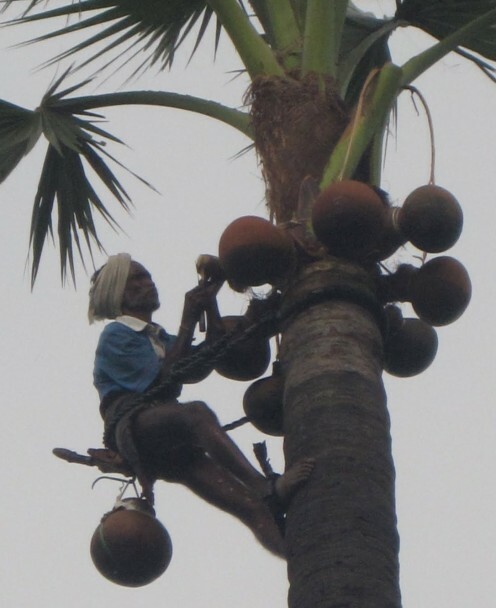 He climbs almost 12 to 18 trees daily to extract toddy to the pot. His work is in the morning and afternoon. His remuneration will be mostly daily basis. 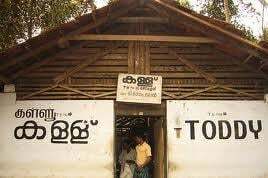 Toddy shop is a shop in which toddy is collected and sell to the person in need. It is a small hut like structure with benches and desks which will allow toddy drinkers to drink toddy calmly. 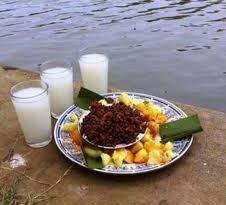 Food will be provided by the supplier with a reasonable price. In today, one glass full of toddy costs just 15 Indian rupees that is 720$. The consumers of toddy reaches the shop usually in the morning and afternoon. Some customers will remain in the shop till the shop closes at the night. This is the support that the customers provided to the shop. 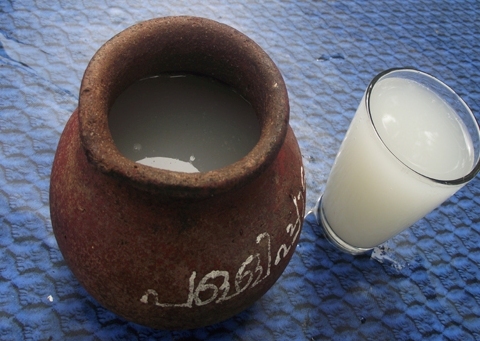 Toddy shops are located in Kerala around 2 km distance in every locality. The quality of the toddy is to be determined by the customer by using it. 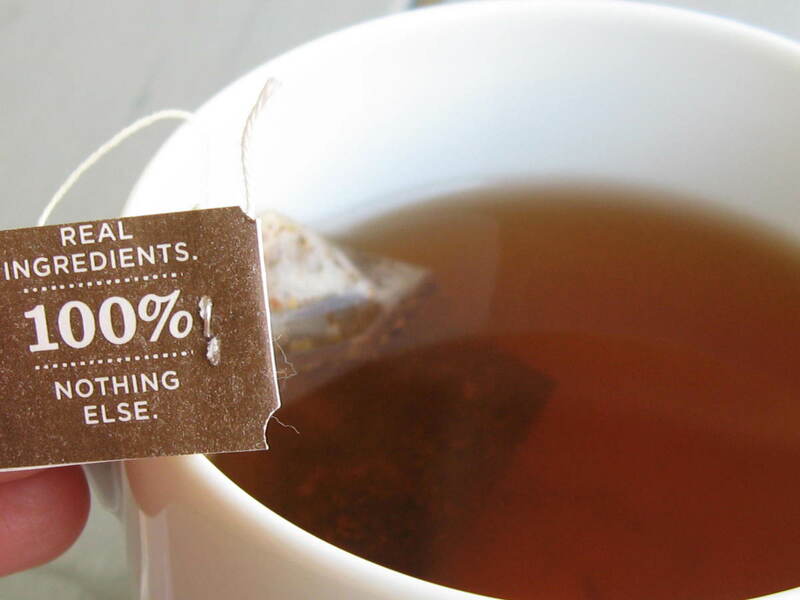 A daily user can identify the quality is tasting it. There are certain games associated with toddy shop. One famous attraction is Fighting competition" Thammil Thallu". Another one is snake dance, ie "Paambattam". This games can be seen in almost all toddy shops with number of audiences. Today, the number of coconut trees available for toddy tapping is less. In the same time, as the educational level is rising, it is difficult to get the employees for the job. A traditional part of living is gong to an end soon. Government is giving support to beers and other beverages, but a drink with heavenly taste is going to remove from Kerala soon. By this process, lot of families living with this income is going undergo loss of job. To protect the people of large economic income, government is knowingly cheating the poor with negative acts. This is an act of demolish a group with traditional living. But, Toddy is always a Toddy, they also may be tasted it once. Hot Whiskey Toddy Using Cloves, Cinnamon, and Nutmeg. 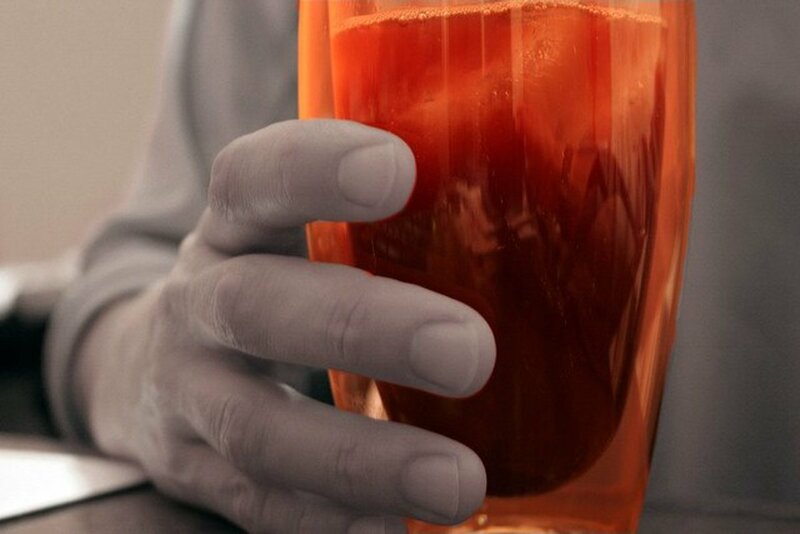 Smart Drinks - Will These Drinks Make You Smarter? 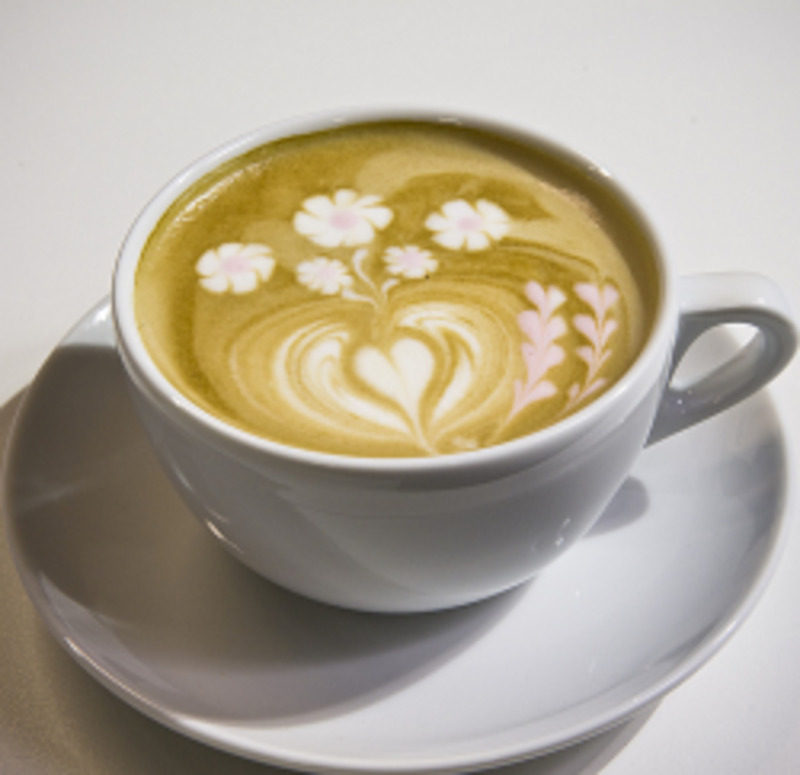 Latte vs Mocha vs Cappuccino, What Are the Differences? 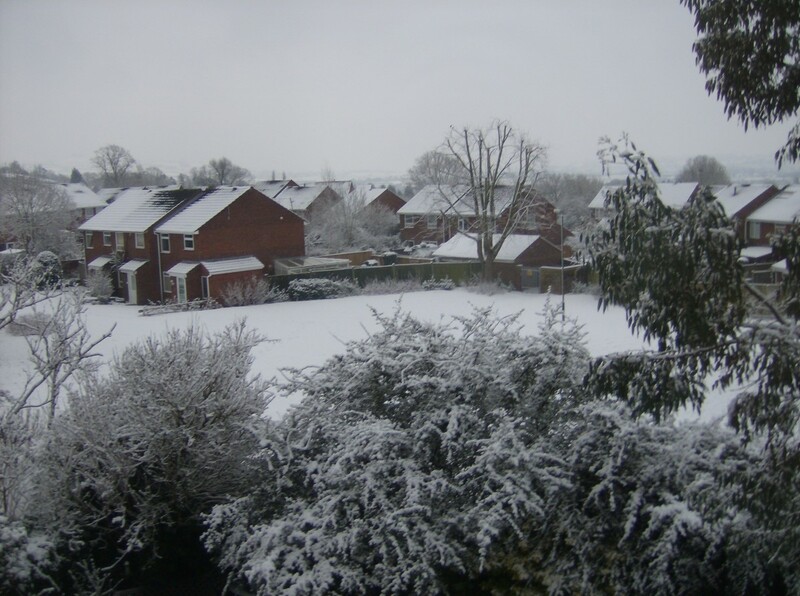 Good pictures you have here..
keep on writing with more text and topics so as to attract more visitors. congrats for your efforts!